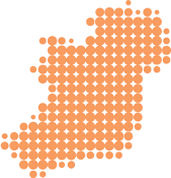 Wood Pellet Stoves.ie are delighted to be exclusive agents for Kalor wood pellet stoves and boilers in Ireland and we offer extensive training, technical back-up and product expertise to all our dealers across the country. After-sales service is a central and hugely important part of our overall strategy as we aim to provide the best possible experience for all our customers. All our dealers are extensively trained in all our products and are dedicated to quality customer service. Wood Pellet Stoves.ie are Ireland’s first dedicated wood pellet stove company. Offering high quality products and expert technical back-up, we are the perfect choice for you in your search for a wood pellet stove. With vast experience in wood pellet stoves and an in-depth knowledge of our products, we offer complete peace of mind to our valued customers both during and after purchase. Wood Pellet Stoves.ie continuously monitor our Authorised Dealers, always with the end customer in mind. Training, servicing, technical expertise and detailed product information are all on hand to ensure that each Authorised Dealer can offer the best possible information and service to all their customers. Beware of unauthorised dealers who may sell Kalor or other stoves from old stocks or which have been imported from companies other than Kalor. These products may have no warranty and technical back-up may not be available. Please always check on this website that you are purchasing from an Authorised Kalor Dealer. Kalor are one of the world’s leading producers of wood pellet stoves and offer the most efficient stoves on the market. As well as being the most efficient, Kalor pride themselves on product reliability and on offering a huge range of products and types of stoves. 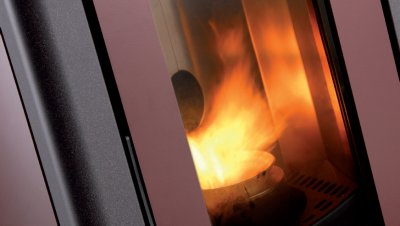 Kalor wood pellet stoves come from the Venetian province of Northern Italy and have been at the forefront of this sector for many years. Kalor have worked hard to develop the most efficient wood pellet stoves on the market and are hugely proud of this achievement. All Kalor stoves are independently tested and certified by TUV Rheinland, a German testing company.